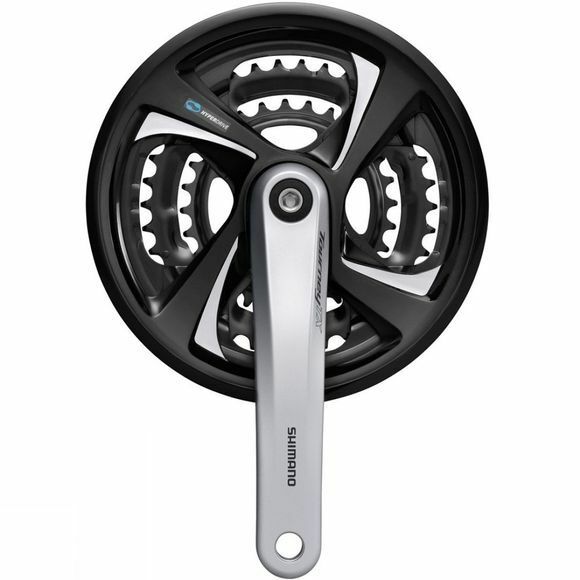 The Tourney chainset is part of Shimano’s entry level Tourney groupset, but this doesn’t mean it compromises on quality. The triple M171 SIS chainset delivers the same precise and smooth shifting performance we have all come to love from the leading manufacturers in their field. Its chainwheel incorporates chain pickup ridges, specially developed teeth profiles and guide ramps to assure quick and precise SIS shifting every time.